The Toy Soldier Gallery offers PREMIUM members the possibility to record, manage and complete their own collection using the online catalogue. Within the collector's catalogue, it is possible to add the respective object to one's own collection in the detailed view. With this item, both the date of purchase and the purchase price can optionally be recorded. In addition, an individual picture can be added to each type. Figures that have not yet been entered in the collector's catalogue can also be entered, but without reference to the collector's catalogue, and stored with the data already mentioned. 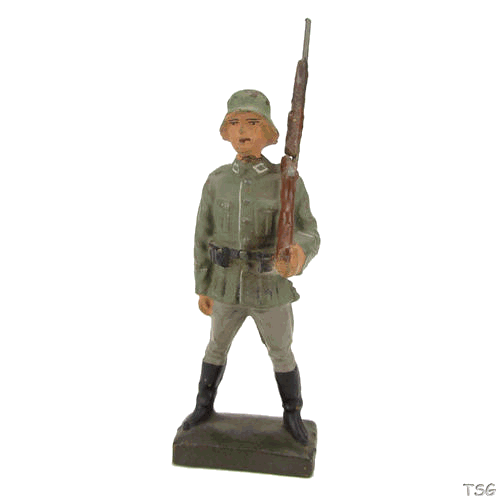 In order to present your own collection at the Toy Soldier Gallery in terms of type and size, it can be activated individually for befriended collectors. However, only pictures and general descriptions are displayed. Number of items, date of purchase and purchase price are only shown to the owner.